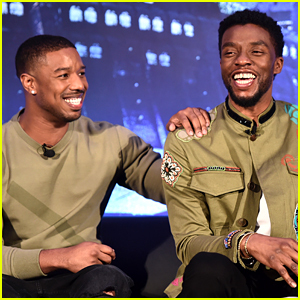 Long before they co-starred together in 2018′s smash hit Black Panther, Chadwick Boseman and Michael B. Jordan actually played the same role on the soap opera All My Children. The backstory is that Chadwick, then 26, was originally cast in the role of Reggie Montgomery, who came across as very stereotypical. Chadwick was let go from the show after voicing his concerns, and Michael, then 16, was brought in as his replacement. Chadwick added, though, that by him speaking out, the role did change a bit for Michael. W magazine has just released their annual Best Performances portfolio, as part of the magazine’s Volume 1, 2019, with lots of new covers! 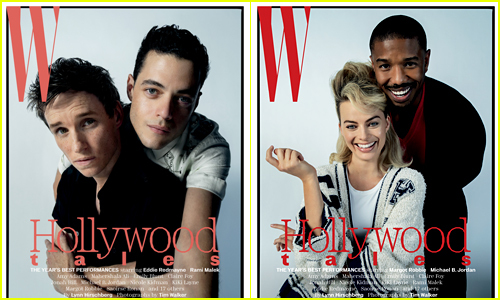 Featured in the mag are Nicole Kidman, Amy Adams with Mahershala Ali, Michael B. Jordan with Margot Robbie, Rami Malek with Eddie Redmayne, KiKi Layne with Jonah Hill, and Claire Foy with Emily Blunt. 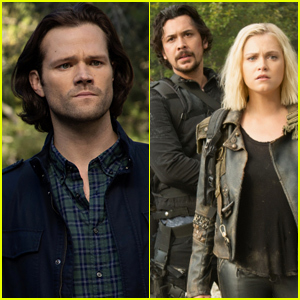 Regina King and Lakeith Stanfield are also featured. You can check out the entire portfolio of images and covers over at Wmagazine.com. Be sure to check it out! Michael B. Jordan Named First Male Face of Coach - See His Campaign Photos! Michael B. Jordan makes his debut as the global face of Coach Men’s in his first campaign for the brand! The 31-year-old Black Panther actor stars in the brand’s Spring 2019 global advertising campaign, Coach announced on Wednesday (January 2). The campaign also shows off the new season’s hero bags, including the Signature Rivington Backpack, the Rivington Belt Bag, and the Metropolitan Carryall. Along with the launch, Coach also unveiled its campaign for the men’s fragrance collection, starring Michael. 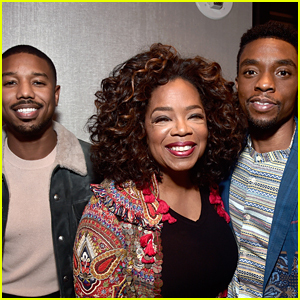 Oprah Winfrey poses for a photo with Michael B. Jordan and Chadwick Boseman at a special reception for Black Panther on Monday (December 17) at The London Hotel in West Hollywood, Calif.
More stars from the movie who attended the event included actor Daniel Kaluuya and Ryan Coogler, along with Disney CEO Bob Iger and Marvel’s Kevin Feige. Black Panther is making a big impact during awards season and Disney is hoping the film will get many Oscar nominations. 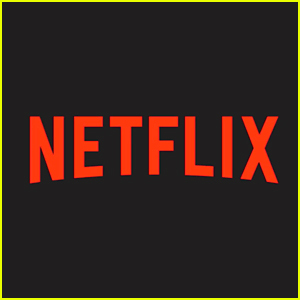 The film has already received three Golden Globe nominations, two SAG Awards nominations, and 11 Critics’ Choice Awards nominations. “A beautiful night in Wakanda! Congratulations @blackpanther on @goldenglobes best picture nomination.🙅🏽‍♀️🙅🏽‍♀️🙅🏽‍♀️❤️💜,” Oprah wrote on Instagram. Michael B. Jordan is looking as suave as ever as he leaves Seth MacFarlane‘s holiday party on Saturday (December 15) in Los Angeles. As he was leaving, the 31-year-old Creed II star stopped to say goodbye to a group of women before heading out. 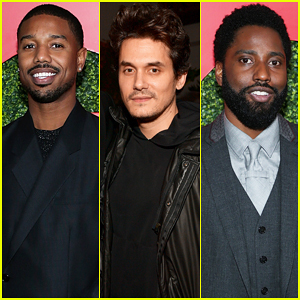 Michael wasn’t the only A-list celeb at the star-studded affair that evening. 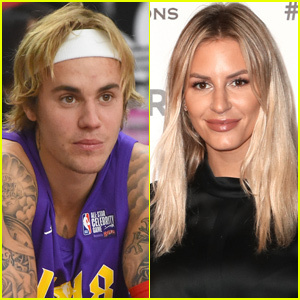 Leonardo DiCaprio and his girlfriend Camila Morrone were seen leaving the party together that night.